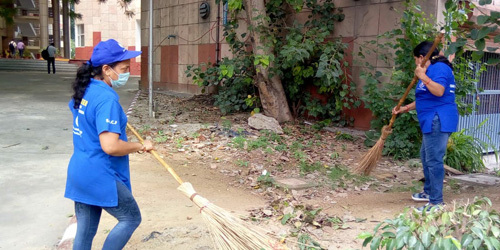 With the blessings of Her Holiness Satguru Mata Sudiksha Savinder Hardev Ji Maharaj, a three days Cleanliness Drive Campaign began on 25th August 2018 at Ram Manohar Lohia Hospital, Delhi. The event was graced by Rev. Bindiya Ji who also took part as a volunteer to motivate and guide the SNCF volunteers in executing the sewa. 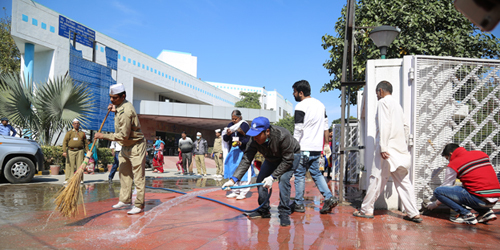 The cleanliness drive began with the assembly at 06:00 AM followed by instructions and guidelines to be followed. 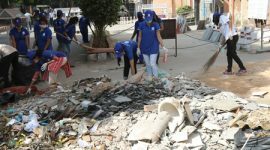 The drive focused on the outskirts of hospital premises which is usually kept untouched and hence lots of garbage gets accumulated there. 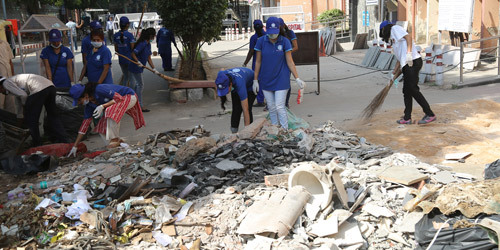 The volunteers collected the garbage such as plastic, polythene bags, cups, used packets, etc. from the boundaries of the hospital, parks and dumped it at its suitable place. 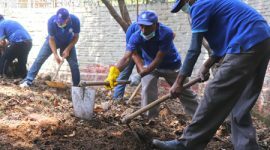 At few places gardening was also done to revamp the surrounding green area of the hospital. Dry leaves, bushes and broken tree branches lying unattended in the park were collected and dumped at their suitable places. 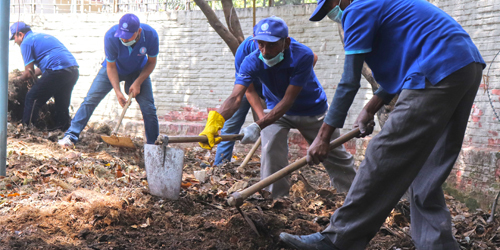 Volunteers were seen cleaning the alleys, boundaries, and parks with brooms in their hands, levelling the park ground with the help of spade, collecting the garbage in garbage bags, cleaning the parking area, fountain in park, etc. 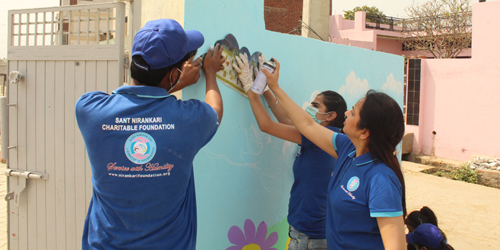 Similar drive will be conducted on the upcoming dates i.e. 01st and 22nd Sept. 2018, which completes the three days’ campaign. The drive concluded at 11:30 AM with the distribution of refreshment to all.